Hello there, my name is Ming and I’m from Penang. I studied at The International School of Penang (Uplands) for my entire secondary school, ending with the International Baccalaureate for my sixth form studies. 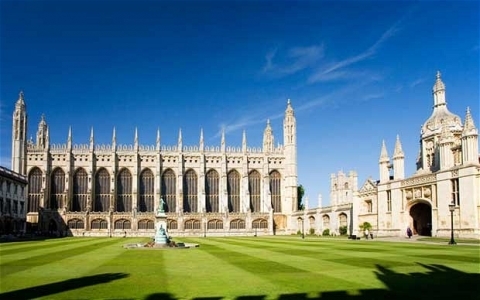 The next step is Cambridge, where I’ll read Medicine and graduate in 2020. I haven’t ever been under a scholarship and won’t be under one at Cambridge as far as I know. What was included in the application process to your university? Well, like any other applicant to the UK, I had to go through UCAS, which means a predicted grade from the school, a personal statement of 4,000 characters and a boatload of information they requested. Then as a medical applicant, I had to sit for the UKCAT, an aptitude test for admissions to most medical schools in the UK. On top of that, as a Cambridge medical applicant, I had to sit for the BMAT, which (as far as I know) is an aptitude test only for medical admissions to Imperial, UCL and Oxbridge in the UK. I had the option of writing additional essays for Cambridge on COPA, which is the application portal for Cambridge (basically doing UCAS a second time). I chose not to write additional essays because I knew I wouldn’t be able to write something of good quality within the short time I had. How did you write your personal statement? The personal statement has been described to me (by an applicant to the USA, might I add) as “mechanical” and “formulaic” although it is meant to be unique and personal, as its title suggests. Perhaps applicants to both the USA and UK may think that because they write touchy feely essays for Commonapp about how their life was shaped and all. In my opinion, you do need some structure to your personal statement, but you also need to make sure it doesn’t sound computer generated. I chose to include why I want to do Medicine, how I’ve shown to have passion for it and the skills required for it (and thus elaborating on my extra-curricular activities), and how my previous experiences in the field have affected me. Did you perform any attachment before applying? Attachments and internships are important not just for your CV and application, but to find out if you actually like what you think you’re interested in. I (rather obviously) chose to do a few attachments at a hospital, watching surgeries, shadowing consultants, observing in Accident and Emergency etc. I found that I didn’t particularly like surgery and that I’m rather interested in oncology, which I think was useful for me. If I could go back a few years, I would also do some care work, like volunteering at a home for the aged, as such things are quite common for medical applicants and are useful to talk about at interviews. What ECAs did you participate in? Leadership and organisation is something all universities and subjects appreciate. You want to be able to stand out in a crowd of thousands. I’d say stick to your strengths, wherever they may lie, and be the best at whatever it is. Don’t force yourself to do something you don’t like because you want a nicer CV. You might hate it, and you might not do as well. For me, notable ECAs included music (orchestra), sports (basketball and badminton), leadership (Student Council), charity (founding a volunteer/charity organisation in my school), public speaking (Model United Nations), organisation (Student Council committee, organising an MUN conference, organising events for the charity organisation). So there you see I did things I like, and thus had the passion to excel at each. How did you prepare for your admission tests? I sat for the BMAT and UKCAT. Aptitude tests are generally difficult for me because my thought process is rather slow and my reading is yet slower. My tip is to just do lots and lots and lots of practice. A week before my UKCAT, I realised I was on track to get 50% (poor is an understatement), and so I put everything on hold and just did UKCAT for that entire week and ended up in the 98th percentile – I suppose it paid off. Don’t stress yourself out like that, learn strategies and do lots of practice early, using the ton of books available out there. How were the medicine interview sessions? I had three interviews in total, one for Cambridge, one for King’s College London and one for Southampton University. King’s and Southampton gave me very standard medical school interviews, asking questions such as “why do you want to be a doctor?” and “why not be a nurse or someone else in the medical profession?” At King’s, there was one interview; at Southampton, there was one group interview and one individual interview; and for Cambridge, I was interviewed in Malaysia and thus had one individual interview. In each case, I tried to make the interview a discussion, which didn’t work at Southampton, but worked to an extent with Cambridge and King’s. This made things a lot less awkward and tense as I was much more able to connect with my interviewers. Most of them were friendly except those I encountered at Southampton, perhaps because they were medical practitioners while the rest were academics. To prepare, I read up on medical news, be it advancements or ethical case studies (which are quite important). I also practiced some interview questions in a mirror to take note of my facial expressions and how to change them to reflect more positively on myself. I don’t think the latter helped me very much though. What do you think contributed to the success of your application? I believe universities look for individuals who add to and improve the standing of their schools. As such, you should look into the course you are applying to and the university you are applying to in order to know what sort of people they are looking for. In my case, it was a well-rounded, passionate and compassionate communicator and scientist, and so I included experiences and achievements that (I felt) showed/helped develop these qualities. I essentially moulded all the activities mentioned above to fit these and included the more significant and recognised ones. What advice would you give to future applicants? START EARLY! I think that’s the most important thing. Resources will be different for everyone, so starting early will give you the time to look up all the things you need to be the best applicant possible. If you’re stuck, look to forum sites like ‘The Student Room’ as you are almost definitely not alone in your struggles. Good luck! Lai Ming Yi is a Penangite heading to the University of Cambridge to read Medicine. He is interested in leadership, management and all things frisbee, and can be frequently found in hawker centers on the streets of Penang. JPA Ivy League Dan Setara Scholarship 2013 – A Memoir. Hi just wanna say this post is motivating and inspiring. omg congrats on getting a place in cambridge for medicine. So prestigious. Im a penangite too, but i applied to all 4 uk medical schools, rejected by 2 pre interview and other 2 post interview. Do u think i should consider a gap year? should i reapply next year? How did u prepare for interviews, cus i think interviews are my nemesis. How much work experience did u do, for instance shadowing like what u mentioned above? Since i wont be in college anymore if i chose to reapply, how do i participate in ECAs?? Can i instead perform voluntary work at a care home?? Thank you so much. Hope you are able to reply.